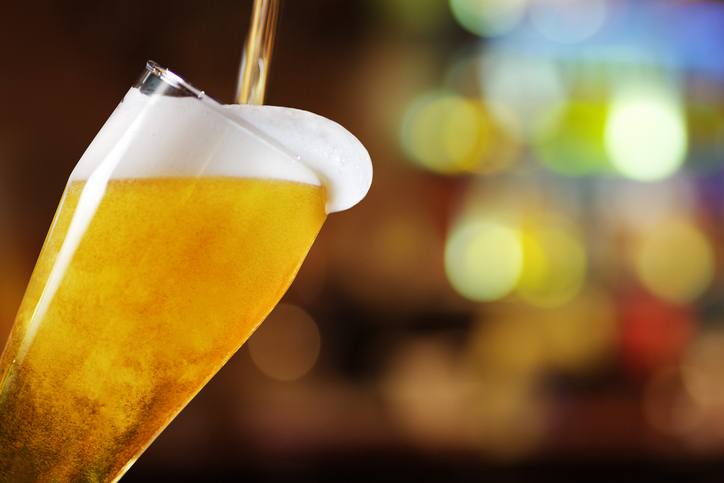 Tilting your glass when pouring beer or sparkling wine helps prevent the drink from frothing up too much. To tilt means ‘to incline or lean something’ and, figuratively, to tend toward something in terms of your opinion or feelings. Tilt is also ‘to attack with a lance,’ like knights on horseback used to do in olden days. In cinematography, to tilt is ‘to move a camera up or down’ in order to film a moving character or object. As a noun, a tilt is the action of tilting or an inclined position. It’s also a joust or any contest of that sort. The bored schoolchild tilted her chair backward. Adam is tilting toward the younger candidate. The knight spurred his horse forward and tilted at his opponent. The camerawoman tilted the camera to get the right shot. Another tilt overbalanced the chair. The tilt of the ladder looked unsafe to me. The knights are all preparing for tomorrow's tilt. Tilt dates back to the late 13th century, though the Old English verb tyltan or tealtan (to be unsteady) is derived from a much older adjective, tealt (unsteady). Another Old English verb, tealtian (to totter or amble) is also probably related. The origin can be traced back to the Proto-Germanic word taltaz, and is thought to have come into English through a Scandinavian language. It is related to the Old Norse tyllast (to trip), the Swedish tulta (to waddle), the Norwegian tylta (to walk on tip-toe) and the Middle Dutch touteren (to swing). The Middle English tylten originally meant ‘to upset something or to tumble,’ though this sense was widened to include ‘to lean or incline’ in the early 17th century. The noun comes from the verb, and was first recorded in the 1830s. The other meaning of tilt, a noun meaning ‘a joust or combat,’ dates back to the early 16th century, and possibly comes from the older verb sense ‘to lean’ (because knights lean into an attack). Another theory for its origin is that it comes from the name of the barrier separating the knights in a joust, which in turn may have come from the cloth used to protect things from the weather. In this case, the verb comes from the noun, and first appeared in the late 16th century.